Data is an integral part of any business. Preventing data loss and controlling the flow of data in and out of your organization is essential. It is vital to consider the management and protection of the entire data lifecycle, which includes data creation, data at rest, data in motion, data in use and data destruction. 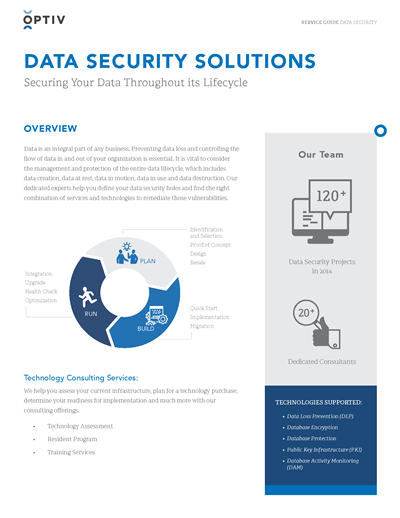 Our dedicated experts help you define your data security holes and find the right combination of services and technologies to remediate those vulnerabilities.